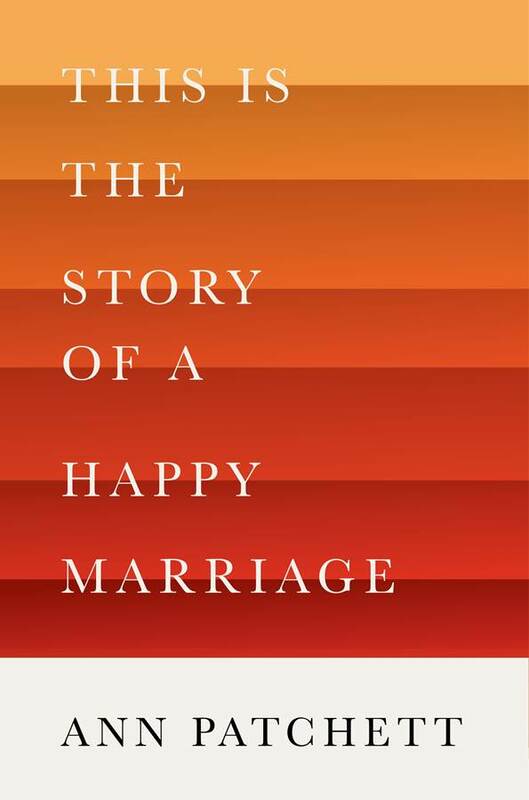 This is the Story of a Happy Marriage contains 22 essays and short stories by Ann Patchett, the author of the award-winning novel, Bel Canto and five other fictional works. Although Patchett has also published works of non-fiction (Truth & Beauty and What Now) in the past, This is the Story of a Happy Marriage is her first collection of non-fiction narratives that tell of her experiences as a child, student, sister, lover, friend, wife, daughter, granddaughter, pet owner, and, of course as a writer. Patchett had always wanted to be a writer so several of the stories reveal the hardships she endured to fulfill her destiny. In The Getaway Car, Patchett recounts her journey from being a terrible student to becoming an award-winning author. And, in My Life in Sales and Do Not Disturb, the author reveals both what she needs and what is expected of her as a writer in today’s modern world: two forces that often collide. There are also stories about books and the important role they played in her life beginning with How to Read a Christmas Story and concluding with The Bookstore Strikes Back on her decision to open an independent bookstore in Nashville in 2011 despite the steep competition of the Goliath on-line retailer, Amazon. Many writers – and especially those writing non-fiction – use personal experience as a basis for a story and Patchett is no exception. In My Road to Hell was Paved, Patchett recounts her attempt to infiltrate RV culture by renting a 29-foot Winnebago and traveling cross country – a hilarious story that will make you discard any preconceived opinion on movable homes. And, in The Wall, Patchett tells the story of her plight to become a police officer at the Los Angeles Police Academy which will leave you laughing out loud. Just as Jonathan Franzen revealed the issues, people, and books that are important to him as a writer and a human being in the 21 essays published in Farther Away (2012), so does Patchett in This is the Story of a Happy Marriage by revealing the importance of love in her life. No writer is of an island and Patchett devotes most of the book to essays and short stories on love: the men she loved, the trauma of divorce (The Sacrament of Divorce), the man she loves and eventually marries (The Paris Match and This is the Story of a Happy Marriage), the devotion to her grandmother and friends (On Responsibility, Love Sustained, and The Mercies), the dog that broke her heart (This Dog’s Life and Dog Without End), and her passion for Tennessee (Tennessee and our Deluge, Drop by Drop) and opera (The Best Seat in the House). Each story stands alone and yet, they all seem to be a part of a whole. Convocation speeches to college students are an opportunity for the wise and experienced to share insights with the young. For most speakers, it’s the opportunity to tell others what they wish their own 20-year old self knew decades ago. When David Foster Wallace gave a commencement speech (This is Water) at Kenyon College in 2005, he stressed the importance of compassion and not living a self-centered life and when Jonathan Franzen followed up at Kenyon with a commencement speech called Pain Won’t Kill You, he told students of the importance of confronting pain and not isolating yourself. So, when the religious right in South Carolina took issue with the story of the Ann Patchett’s friendship with the writer Lucy Grealy (The Love Between the Two Women is Not Normal), as chronicled in the book, Truth & Beauty, Patchett saw this as an opportunity to tell the freshman class at Clemson in a convocation speech (The Right to Read) of their rights: to make decisions, to read what they choose, and not let other people decide what books should be read by young adults. That she was gracious when faced with an ugly personal attack is a testament to her character and firm belief that personal responsibility is multifaceted. Ann Patchett was chosen to select The Best American Short Stories in 2006 and her introduction to this collection (included in this book) is one of my favorite essays because she writes “Love the short story for what is is: a handful of glorious pages that take you someplace you never knew you wanted to go” which is exactly how I would describe the collection in This is the Story of a Happy Marriage.